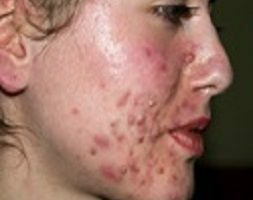 Warts are small growths of skin which can appear on almost any area of the body. They can be found on the hands, elbows, knees, the face, the feet as well as the genitalia. These lesions are linked to an infection of the skin by the HPV virus ( human papillomavirus ), which has many variations. They are divided into common ( or vulgar ) warts, plantar warts, filiform and flat warts. This distinction is made with respect to their appearance, where they are on the body and the type of HPV virus causing them. 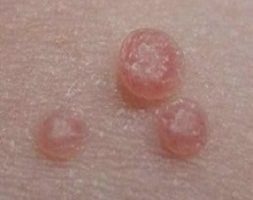 Skin warts are common, and can be found amongst 25% of the French population, particularly among children aged 5 to 15, and adults over the age of 25. They are benign and do not lead to skin cancer. The main source of infection is the wart itself, thanks to the spread of infected flakes of skin. Warts are transmitted between humans by skin contact. These types of lasers can be used to have pure ablation (in this case recurrence is common) or ablation associated with warming of the underlying vessels (vessel treatment is necessary to prevent recurrence). There is the risk of scarring. The treatment is quite painful but no anesthesia can be applied under penalty of failure of treatment. 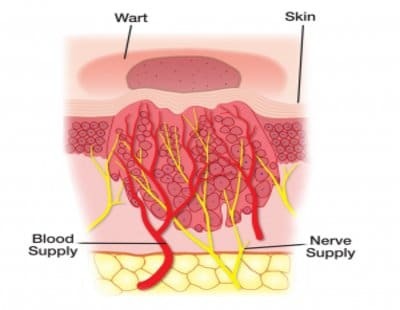 The hemoglobin at the base of the warts is targeted by the laser, this allows the disappearance of dermal vessels that feed the wart and the indirect and significant destruction of keratinocytes (superficial cells of the epidermis) infected. The action is very targeted, limited to the infected zone. The result is the disappearance of the wart and at the same time the prevention of its recurrence. It is thought that the inflammation following laser treatment actually improves the immune system’s response, thus more efficiently tackling the virus. To treat my hand warts, Doctor Romano offered laser sessions. I thank her, she eradicated them! This doctor is very competent and attentive. For my feet warts, Doctor Romano did laser sessions that gave an optimum result, I must thank her. After numerous azote sessions with a dermatologist, I was recommended Doctor Romano. She offered me 4 lasers sessions and from the 2nd intervention, my wart considerably diminished! Thanks Doctor Romano. After different natural methods to treat my warts, Doctor Romano did laser sessions. My wart disappeared. I am delighted with the treatment. One wart 120€, it needs 4 sessions. Several warts Depending on estimate.